The Atlantic City story this year has been something else, with four of the 12 casinos on the Boardwalk having already closed and a fifth one -- the Trump Taj Mahal -- having announced that it will likely follow suit in November. When first hearing about the Taj possibly closing it did cross my mind that Ultimate Poker’s New Jersey site would have to find itself a new casino with which to align in order to continue in the Garden State. In New Jersey the land-based casinos get “online gambling permits” and can then partner up with technology providers who also are licensed to operate in the state. UP was the platform for Trump Taj Mahal Associates, meaning that without them Ultimate would need to partner with another casino in order to continue. That ain’t happenin’, obviously. Late Friday the news arrived that Ultimate Gaming was both terminating its agreement with Trump Taj Mahal Associates and ceasing operations in the state (while continuing in Nevada). Their press release cited “multiple breaches” by the Trump group precipitating the break-up, the declaration of bankruptcy by TTMA a couple of weeks ago and listing of Fertitta Acquisitions (parent company of Ultimate Gaming) as a creditor owed nearly $1.5 million suggesting an obvious one. Just two days later -- at 11:59 p.m. ET last night -- it was all over for Ultimate Poker as the New Jersey site stopped dealing hands. Players are now being told to cash out their funds, which represents one small silver lining when compared to the shutdowns of other, non-regulated sites in the past and subsequent troubles players have had retrieving their funds from them. 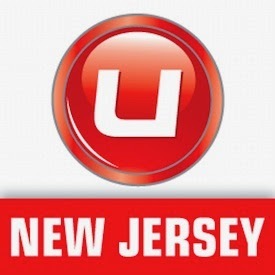 Of course, there wasn’t a heckuva lot happening at the Ultimate Poker New Jersey site, anyway. A week ago I was writing here about the Party Borgata site and the snafu it had during the Garden State Super Series. That got me curious about how the NJ sites were doing, and so I visited PokerScout last week and saw that while the Party site and WSOP.com’s NJ site both had 300-400 cash players (or thereabouts), Ultimate Poker had practically no one playing at all -- like just a table or two, if I recall. Ultimate’s NJ casino site was apparently doing fairly well, earning half a milly per month in revenue. But nothing much was happening on the poker side, which makes the site’s swift closure decidedly less dramatic. UP is doing better in Nevada, although has been behind WSOP.com’s Nevada site since shortly after the latter went online almost exactly one year ago. And the traffic in Nevada is only a fraction of what’s happening in New Jersey at the moment, making all of the numbers there very modest all around. Speaking of, as I mentioned last week PokerStars is poised to enter New Jersey via the Amaya Gaming Group who hold a license in the state -- possibly within the next couple of weeks. And expectations are the site should easily outstrip all others immediately in terms of traffic, and in fact will become an interesting test case to see just how well a single-state site might be able to thrive. In any case, the slow-moving start to “online poker 2.0” in the U.S. continues, moving much like a very slow-structured tournament with the stakes being almost trivial (relatively speaking). And, of course, the occasional bustouts.